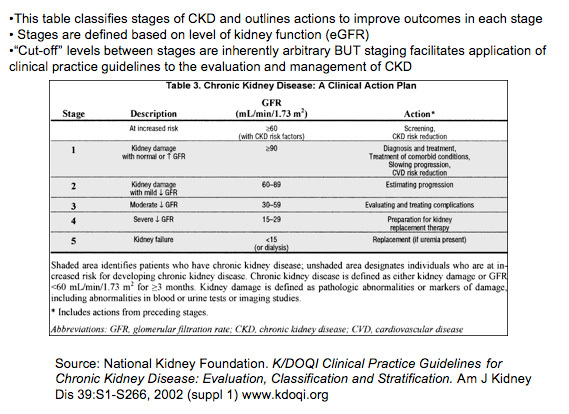 How is the MDRD STUDY EQUATION used to stage CKD? A more accurate accurate method to estimate glomerular filtration rate from serum creatinine: a new prediction equation. 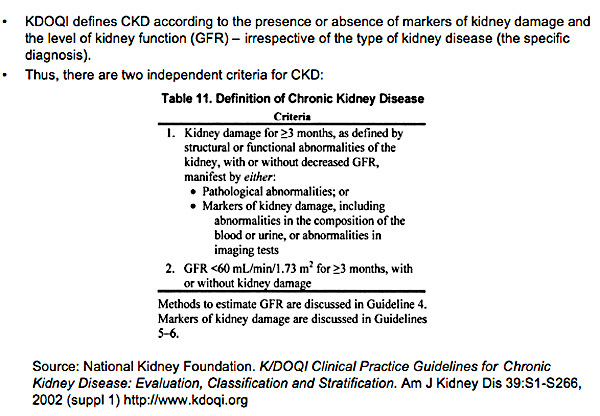 Modification of Diet in Renal Disease Study Group Ann Intern Med 1999 Mar 16; 130 (6): 461-70. G.L. Myers, W.G. Miller, J. Coresh, J. Fleming, N. Greenberg, T. Greene, T. Hostetter, A.S. Levey, M. Panteghini, M. Welch, and J.H. Eckfeldt. Recommendations for improving serum creatinine measurement: A report from the laboratory working group of the National Kidney Disease Education Program. Clinical Chemistry 2006 52: 5-18.